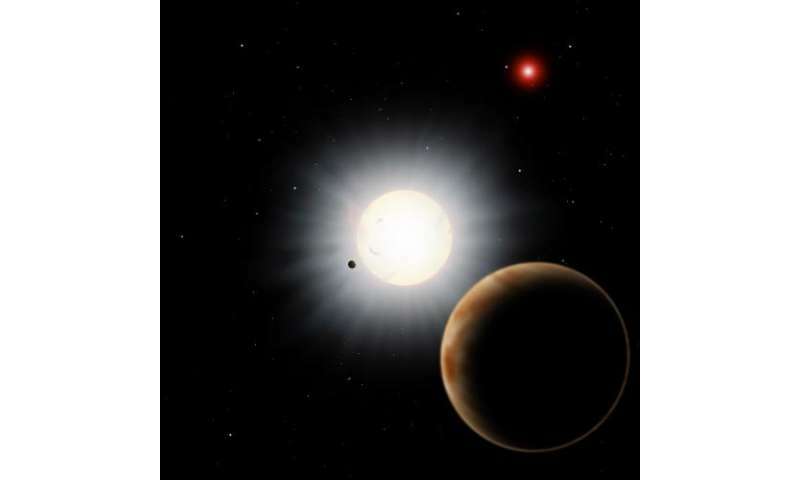 Astronomers have used the Subaru Telescope to show that the HAT-P-7 planetary system, which is about 1040 light years from Earth in the constellation Cygnus, includes at least two giant planets and one companion star (Figure 1). 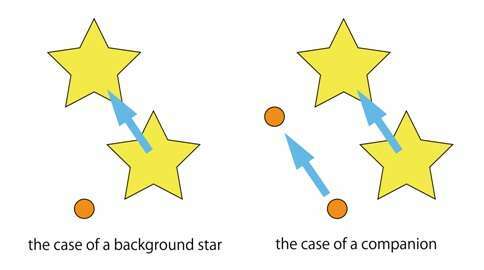 The discovery of a previously unknown companion (HAT-P-7B) to the central star (HAT-P-7) as well as confirmation of another giant planet (HAT-P-7c) orbiting outside of the retrograde planet HAT-P-7b offer new insights into how retrograde planets may form and endure. Since his team's initial discovery of the retrograde planet HAT-P-7b, Narita has pursued his quest to explain its origin. 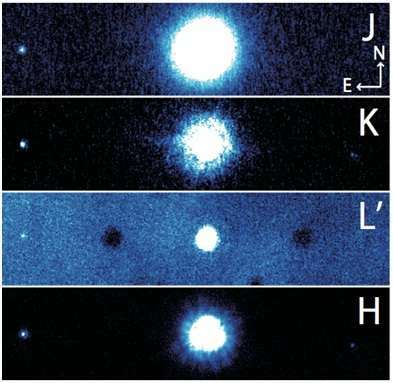 As participants in the SEEDS (Strategic Exploration of Exoplanets and Disks with the Subaru Telescope) Project, he and his colleagues, Yasuhiro Takahashi, Masayuki Kuzuhara, and Teruyuki Hirano (all from the University of Tokyo), took high contrast images of the HAT-P-7 system (Figure 2) with HiCIAO (High Contrast Instrument for the Subaru Next Generation Adaptive Optics) to develop a more complete picture of it. The team also confirmed a long-term radial velocity trend for HAT-P-7. This indicated the existence of another giant planet, HAT-P-7c, orbiting between the orbits of HAT-P-7b (the retrograde planet) and HAT-P-7B (the stellar companion). Interesting article. But the Clip Art illustration was even more amusing.